Al-Jamia Mosque on West 8th Avenue to hold a prayer vigil this evening to show solidarity with New Zealand. Vancouverites are reacting with shock and sadness to the New Zealand mosque shootings. Munir Ahmad said the tragic events were front of mind in his morning prayers at Al Masjid Al-Jamia on West 8th Avenue. "I prayed for the families and the Muslim community and New Zealand as well, and even for those related to the attackers," he said. Outside the mosque, Bette Thomson came to lay flowers. "I'm from New Zealand," she said through tears. "This just shouldn't happen." The Al-Jamia Mosque will hold a prayer vigil to show solidarity with those in New Zealand at 7:30 p.m. PT Friday. At the B.C. Muslim Association on Kingsway, a man entering the office also expressed sadness about those killed and injured in the attack. "It shouldn't happen anywhere," he said, asking not to be identified. 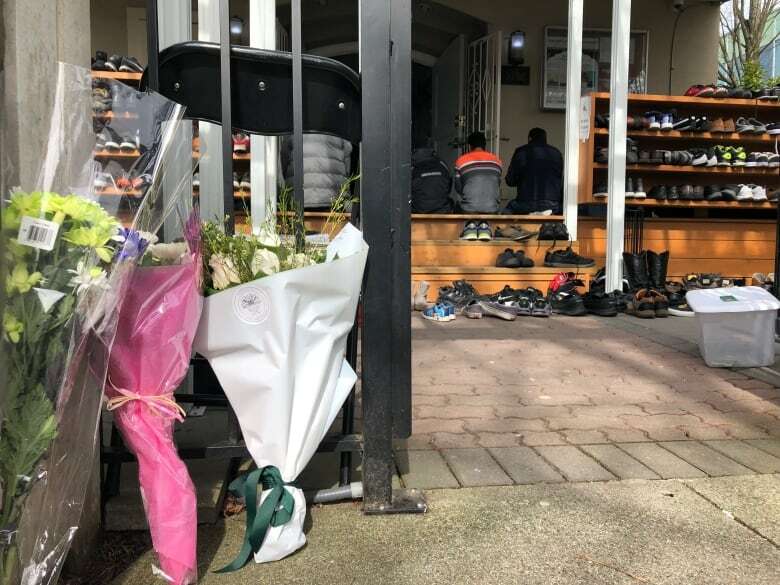 Forty-nine people were killed and another 48 injured in shootings at two mosques filled with worshippers during Friday prayers in Christchurch. A man claiming to be the gunman reportedly livestreamed the shooting on his now-deleted Twitter account. He also allegedly posted an anti-immigrant manifesto and photos of ammunition cartridges with the names of extremists written in white paint, including Alexandre Bissonnette, the Canadian who killed six people in a Quebec City mosque two years ago. The Vancouver Police Department says it is not taking any extra precautions at this time, but that it will remain in close communication with local Muslim leaders to ensure the community feels safe and supported. "We have security experts that are in regular communication with other local, national and international agencies to share information and strategies," said VPD spokesperson Const. Jason Doucette. Ahmad said he was not feeling nervous about his own safety in light of the New Zealand attack. "I feel those types of incidents, it takes a lot of hatred to do that and I don't think that's part of our community, in Canada especially." The Islamic Society of British Columbia condemned the attack as despicable and cowardly, and called for "absolute justice in prosecuting these heinous terrorist criminals." "For this to happen in a house of worship is especially appalling. We have seen too many instances of vicious attacks in mosques, synagogues, temples, churches and other houses of worship, and it is time to say, "No More!," reads the statement. Speaking in Kelowna, Minister of Public Safety Ralph Goodale said Canada's threat level remained unchanged. "Canada stands with Muslim communities here at home, in New Zealand and across the world. Hatred, violence and right-wing extremism have no place in any society," he tweeted.